The late Pandit Ramesh Misra, is world-renowned as having been a master of the sarangi, the bowed, short-necked stringed instrument from India. He was a recipient of India’s most prestigious Sangeet Natak Akademi Puraskar and the Sangeet Natak Award of Uttar Pradesh and has been honored with numerous other awards including the Jhadhu Bhatta award from West Bengal. Both as soloist and accompanist, Pandit Ramesh Mishra traveled all over the world performing with internationally renowned artists. He can be heard in many music productions including Ravi Shankar’s Live in the Kremlin and the Grammy nominated album Legacy, produced by the legendary Ali Akbar Khan. He was also a participating artist in the production of the “Concert for George” at Royal Albert Hall in London and recorded on Aerosmith’s much acclaimed album Nine Lives. He is profoundly missed by those who were close to him as well as the music community at large. A shining example of total dedication, depth and maturity, Pandit Ramesh Mishra is a phenomenon in the field of Indian Classical Music. 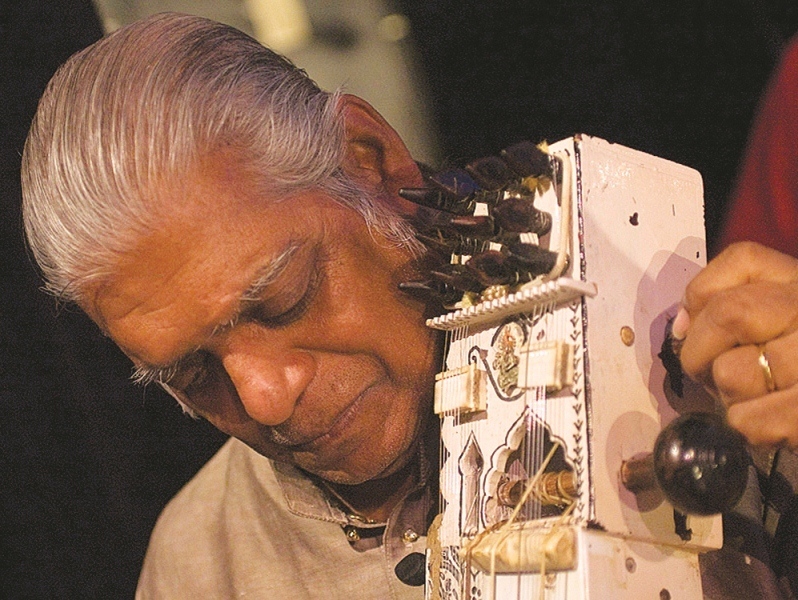 Mastering the sarangi, which is one of the most difficult and unique string instruments, Pandit Ramesh Mishra is today acclaimed as one of the foremost artists of India. Son of great sarangi maestro Pt. 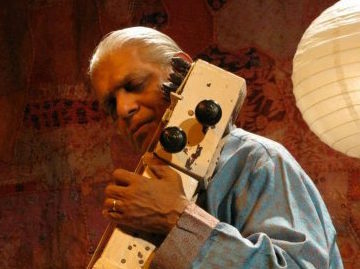 Ramnath Mishra, Rameshji started his initial intensive training at a very tender age from his father and acquired further knowledge and training from the finest musicians of Benaras Gharana: Pandit Hanuman Prasad Mishra and late Pandit Gopal Mishra and Rameshji was also under the tutelage of the late legendary maestro Pandit Ravi Shankar. Rameshji’s high aesthetic sense and artistic sensibilities along with his soft inner nature have gained recognition both in home and aboard as an eminent soloist as well as an adept accompanist. His perfectly restrained tuneful music has enthralled the global audience. Besides receiving India’s most prestigious Sangeet Natak Akademi Puraskar (Akademi Awards) in 2008 for his outstanding contribution in the field of music (sarangi), Pt. 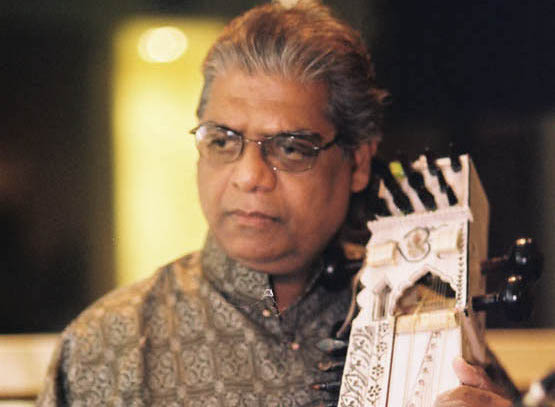 Ramesh Mishra also received the Sangeet Natak Award of Uttar Pradesh in 1992, was honored with Geetanjali, the Uttam, Dishari Award, the Jhadhu Bhatta award from West Bengal in 2007 and various other awards from different musical organizations. In 1959 Rameshji was sent as a cultural delegate to Pakistan by late Pandit Jawaharlal Nehru, the first prime minister of India. Both as soloist and accompanist, Pandit Ramesh Mishra travels all over the world accompanying internationally reputed artists. In addition he has produced numerous recordings including his own solo records and earned a niche in the hearts of millions of music lovers. Mr. Mishra’s creativity and imagination along with his profound knowledge of Indian classical, folk and light music and his vast experience of music performance and recording is worth mentioning. He is an asset to the music world and his mesmerizing melodies produced by his sarangi can be heard in many music productions including Ravi Shankar’s ‘live in Kremlin’ and the Grammy nominated album ‘Legacy’, produced by the legendary Ali Akbar Khan. He was also a participating artist in the production of the “Concert for George” at Royal Albert Hall in London, November 2002 and is one of the recording artist in Aerosmith’s much acclaimed album ” Nine Lives “. 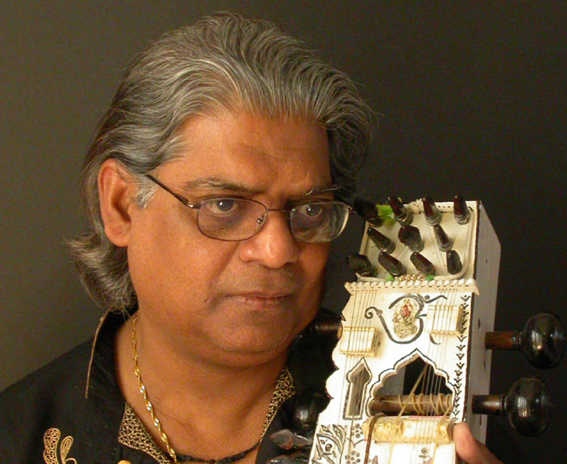 Pandit Ramesh Mishra is an accomplished artist, inspired teacher and creative collaborator. His contribution to the American performing arts as well as world music will certainly continue to be unique and valuable.